Located in the heart of Testaccio, the Mercato Testaccio embodies the neighborhood’s soul. This Roman quarter used to be the slaughterhouse district where most of Rome’s meat production happened. Although the production shut down in the 70’s, the neighborhood has retianed its culture and cuisine, like the famous amatriciana (pasta in a red sauce with pecorino cheese and guanciale, pig’s cheek). The addition of the guanciale pays homage to Testaccio’s past. 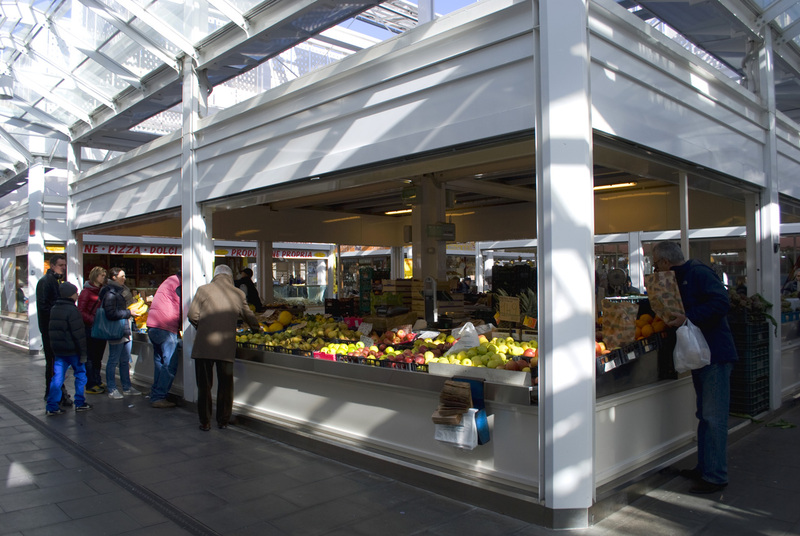 If your interested in shopping for some classic Roman dishes, Mercato Testaccio has among the classic food stands (vegetables, fruits, bread, etc. ), some so original and exclusive that you won't be able to find in any other market in Rome such as, the second-hand books booths or the tailor's shop "made in 4testaccio" with ready-to-wear clothes and accessories."